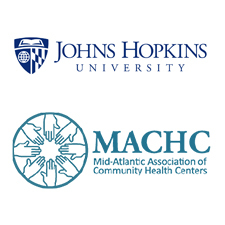 NYMAC Regional Genetics Network is pleased to announce a partnership with Johns Hopkins University and the Mid-Atlantic Association for Community Health Centers (MACHC). This collaboration will lead to increased access to genetic services for patients served by community health centers in the MACHC Network. Providers in the MACHC Network will have access to a geneticist for questions and referrals via in-person or telemedicine visits. NYMAC will also distribute resources to community health center providers to facilitate their use of genomic information in clinical management. Interested health centers should contact NYMAC at nymac@health.ny.gov or MACHC at jlichtyhess@machc.com.